Below you fill find all funeral homes and cemeteries in or near Crookston. 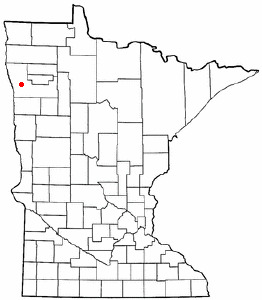 Crookston is also known as: Polk County / Crookston city. Their current mayor is Mayor Gary Willhite. Zip codes in the city: 56716. Some of the notable people born here have been: Laura Bradford (businessperson), and Deb Kiel (homemaker and legislator). Crookston is a city in the U.S. state of Minnesota. It is the county seat of Polk County. The population was 7,891 at the 2010 census. It is part of the "Grand Forks, ND-MN Metropolitan Statistical Area" or "Greater Grand Forks".Crookston is the episcopal seat of the Roman Catholic Diocese of Crookston. 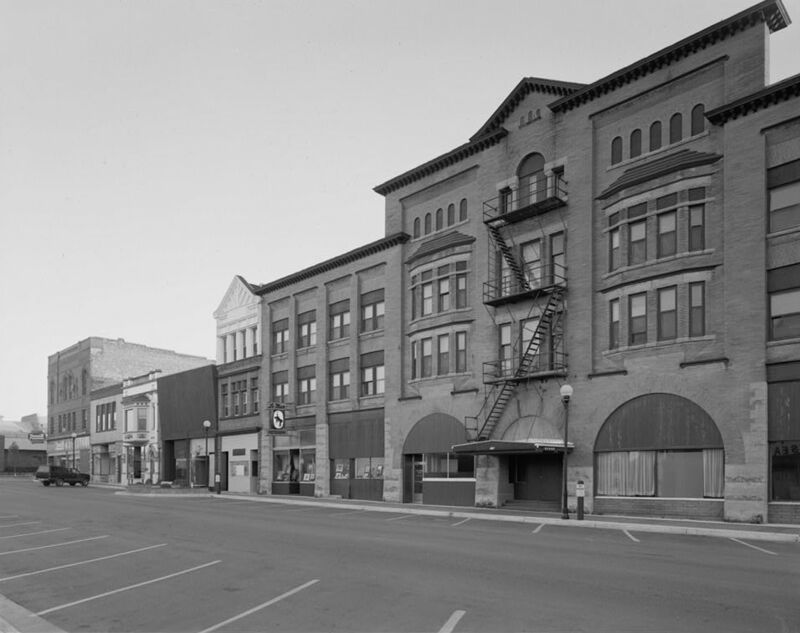 Since Crookston is close to the larger city of Grand Forks, North Dakota, many people who live in Crookston commute to jobs in the Grand Forks area. It was reported by The Mail Tribune on January 13th, 2019 that Perry Menge passed away in Oregon. Menge was 72 years old and was born in Crookston, MN. Send flowers to share your condolences and honor Perry's life. It was revealed by Ellensburg Daily Record on October 27th, 2018 that Leon H Jr Rivitt died in Seattle, Washington. Rivitt was 83 years old and was born in Crookston, MN. Send flowers to share your condolences and honor Leon H Jr's life. It was noted by Des Moines Register on October 10th, 2018 that Opal Luverne Wittkowski (Sanoden) passed away in Grimes, Iowa. Ms. Wittkowski was 98 years old and was born in Crookston, MN. Send flowers to express your sorrow and honor Opal Luverne's life. It was revealed on September 7th, 2018 that Michael D Norgart perished in Houston, Texas. Norgart was 58 years old and was born in Crookston, MN. Send flowers to express your sympathy and honor Michael D's life. It was noted on June 30th, 2018 that Joan Elizabeth Osterberg (Bredlie) perished in Grand Forks, North Dakota. Ms. Osterberg was 82 years old and was born in Crookston, MN. Send flowers to express your sympathy and honor Joan Elizabeth's life. It was noted by Orange County Register on June 3rd, 2018 that Bob Nelson passed away in Mission Viejo, California. Nelson was 84 years old and was born in Crookston, MN. Send flowers to express your sympathy and honor Bob's life. It was written by The News Tribune on May 13th, 2018 that Rodney Newcomb Swenson passed on in Washington. Swenson was 87 years old and was born in Crookston, MN. Send flowers to share your condolences and honor Rodney Newcomb's life. It was revealed on April 29th, 2018 that Joy Marie miss Turner passed away in Fresno, California. Turner was 58 years old and was born in Crookston, MN. Send flowers to express your sorrow and honor Joy Marie miss's life. It was disclosed on April 25th, 2018 that Nan Irene Coker (Krogstad) died in Olive Branch, Mississippi. Ms. Coker was 71 years old and was born in Crookston, MN. Send flowers to express your sorrow and honor Nan Irene's life. It was noted by The Mail Tribune on April 8th, 2018 that Judy A Wadligh (Helgeson) perished in Central Point, Oregon. Ms. Wadligh was 69 years old and was born in Crookston, MN. Send flowers to share your condolences and honor Judy A's life. The land in the immediate vicinity of Crookston is not connected with any verifiable Native Americans in the United States American or European historic events or circumstances until transfer in the Treaty of Old Crossing of Old Crossing in 1863 and 1864. A branch of the Red River Trails passed nearby; it was used by fur traders between the 1840s and 1870s. It is part of the "Grand Forks, North Dakota Forks, North Dakota Metropolitan Statistical Area" or "Greater Grand Forks". The area in which Crookston is located was virtually unoccupied during pre-European contact and remained little more than a hunting ground associated with the Pembina settlements until the 1860s. Prior to that time, the territory now included in Crookston was technically a part of Rupert's Land and Assiniboia before becoming part of British Canada as a result of the boundary settlement in the Treaty of 1818. Its population was estimated at 7,727 in 2007. The official website for the city of Crookston is http://www.crookston.mn.us. Funeral: Friday, November 5, 2010 at 10:30 a.m. at The First Presbyterian Church, Moorhead, MN. Interment: Oakdale Cemetery, Crookston, MN. Online guestbook and video tribute at www.wrightfuneral.com. Charles Jarvis Chuck Hanson, 88, Pelican Rapids, Minnesota, and formerly of Beltrami ... The Stenshoel-Houske Funeral Home, Crookston, is assisting with funeral arrangements. Listing all funeral homes in Crookston, Minnesota so you can easily send flowers to any location (same day delivery) or find any funeral service. allads for Crookston, MN. Find phone numbers, addresses, maps, driving directions and reviews for allads in Crookston, MN. Listing all cemeteries in Crookston, Minnesota so you can easily send flowers to any location (same day delivery) or find any funeral service. We work with local florists and flower shops to offer same day delivery. You will find budget sympathy flowers in Crookston here. Our funeral flowers are cheap in price but not in value.